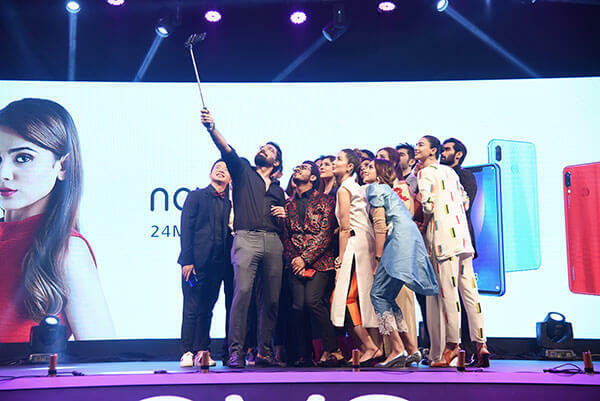 Huawei, the world’s second largest Smartphone manufacturer, recently launched the new nova 3 series in Pakistan for the first time, which included the nova 3 and the nova 3i. 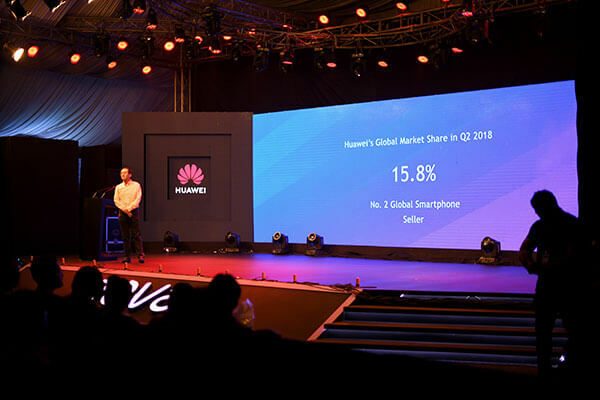 Globally, Huawei’s market share stood at 15.8 % in Q2 2018 and was also ranked at number 2 as a global smartphone seller. In the first half of the year 2018, the brand sold over 95 million smartphones. 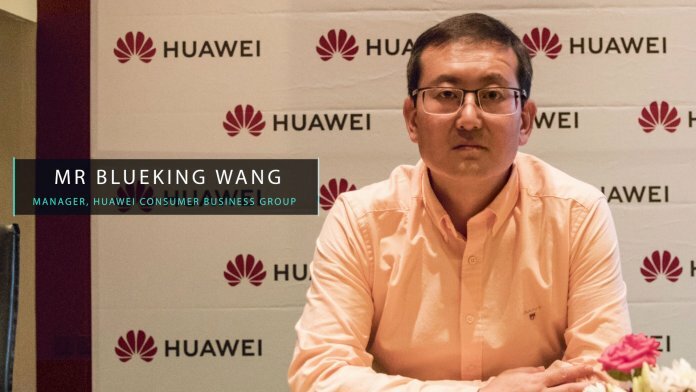 We got an opportunity to speak to Mr Blueking Wang, Manager, Huawei Consumer Business Group in Lahore to learn more about the latest nova series. Q: How does the meaning of nova reflect in the series you are launching today? Blueking: For nova, the wow word in innovation. It is derived from the four alphabets in the word ‘innovation,’ hence – nova. Q: What age demographic, consumer profile and lifestyle does the nova series cater to? Blueking: The series is specially designed for the youth with three focal points: patronage, price and confidence. The target age group is those between the ages of 18 – 35 years. The consumer would be someone who can afford high and mid-range smartphones and enjoys an upbeat lifestyle. The consumer loves colours and taking selfies. This is why we have paid attention to the camera, memory and battery. Since they will have a lot of photos the phone would require a big memory and a long-lasting battery. Q: How is nova different from the other series of Huawei? Blueking: The main differentiating feature is the technology. The phones have an inbuilt AI-powered Kirin chipset. 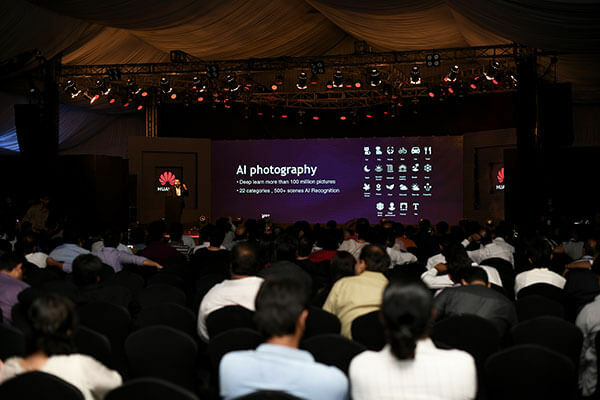 This allows for an AI camera, which has been introduced in the series with the dual camera. We invest heavily in R&D, with. Currently, we have 15 R&D centres across continents, including Europe, Asia and America. During the last 10 years we have spent $60.4 billion and during the last year, we’ve spent $10.8 billion on research and development alone. This makes us the 6th biggest investor in research and development. The consumer wants a smartphone that’s fast. The Kirin 970 is not only the fastest chipset in the world; it will also increase power and save the battery. It is also the first time that we have used snapdragon. 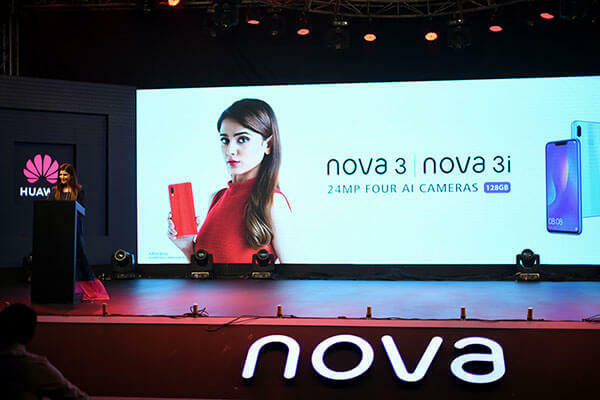 This is the first time that nova 3i costs around Rs 40,000 and has 128 GB. This large memory size is not available at this price point for competing phones. It is something that the market really needs and was a demand of the youngsters. We listened and acted on that demand bringing to them a product that was the need of the day. Another distinguishing feature is the signature style of nova. It represents young entertaining and trendy because we believe that young is an attitude and that entertaining is what is your take on what you truly believe in what life should be like and which lifestyles you should lead. Q: There are many competing brands of Chinese origin in the Pakistani market, how has this affected your brand and how do you compete? Blueking: This is not only in Pakistan. When you look at the global business, there are three main big brands. 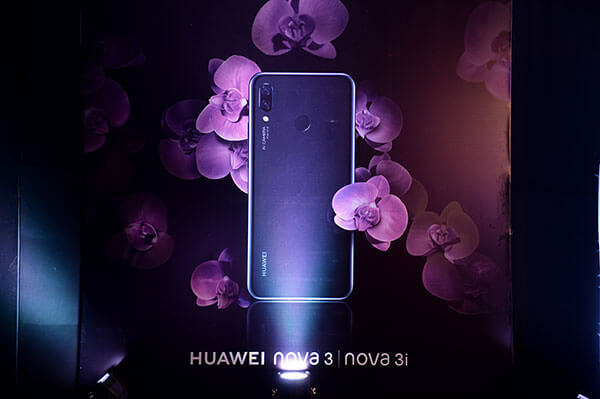 Of which Huawei is the only Chinese brand. As far as technology is concerned, only Huawei has the technology as a Chinese company. This is a big difference. Huawei focuses mainly on innovation and technology. As mentioned, we have a lot of research and development centres globally, which gives us an edge over our competitors. Q: How does Huawei compete with prices? Blueking: Our price structure focuses only on our phone, we can’t focus on our competitor’s price structure. Q: What were the factors in Huawei’s strategy that led to it becoming the world’s second largest smartphone manufacturer and competing with popular brands such as Apple and Samsung? Blueking: The core strategy is the technology. Our software built in the chipset gives us an edge. Secondly, we have led the technology for 3G, 4G and5G. What makes us different from our competitors, what kind of strategy we have – it is all about research and development. Research is the core of everything that Huawei does. Q: How customized is the Android operating system in Huawei phones? Does Huawei plan to introduce its own operating system in the future? Blueking: This time we brought in the EMUI 9.0. We changed a lot in this version making it easy for the consumer to use the phone. It has changed the way that Android used to operate. It’s a layer that we add and it adapts to your usage. Previously Google and the Android system had many things that were the same. Emotional UI reacts to each individual user separately, so if you use one app or area of your phone more whilst someone else uses it differently, it will adapt accordingly. Whichever app you use more; it will give more battery timing and memory towards it. If you use WhatsApp more it will give more battery and memory to that, if you use Facebook more it will adapt according to your usage and needs. At all times it does not only increase the efficiency of use but the look and feel. We have always lead the technology front. Going back to the Mate9 or maybe the p9 or p10, these devices were the first ones in the world with dual cameras in a smartphone. We later took it to the AI chipsets. 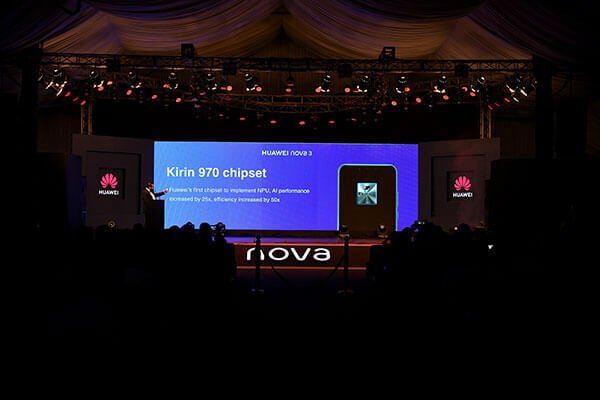 The Kirin 970 was the first AI centric chipset that was made with artificial intelligence embedded deeply into the system. We were also the first ones in the world to bring a triple camera setup on a smartphone, which you might have seen on the p20. Each time we have led technological innovation; the dual camera, the AI chipset, the triple camera and now the GPU Turbo update. The others don’t have that. Q: Which markets are very similar to Pakistan? Blueking: The Pakistani market is quite unique. Like we said, 50 % of people are still using feature phones so it’s quite different from the markets that use 90% smartphones. At the same time, Pakistan is one of the biggest youth populations in the world. This gives us a lot of opportunity to market such kind of products and this is something that we might not find in any other market of the world. We cannot say that Pakistan and India are the same. Since Indian consumers are different, the population segments are different. Over here the buying power is different. However, we do understand the buying behaviour and the thought process. That is why we conducted the selfie survey and we got to know about the entire region. How people think and react is unique for every country. Q: What trends do you foresee for the mobile industry in the future in Pakistan? Blueking: Like we mentioned before this is still a 50% feature phone market, so this is a future opportunity for every brand. I think within the next 2-3 years the market will be double. The world is moving towards 5G and we see the Pakistan market ready for it by 2020. 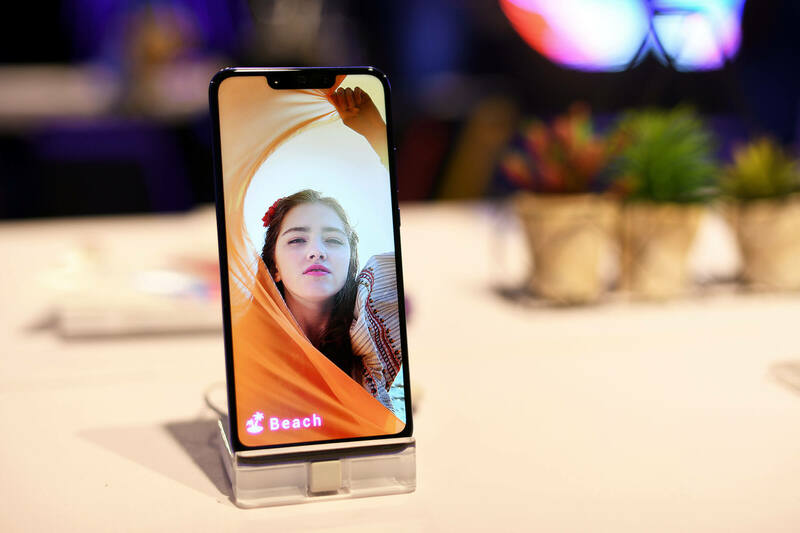 Our latest smartphone is already 5G ready, but the marketing of it depends on the carrier’s ability. Huawei is happy to help carriers bring the infrastructure as we have the capability. When it comes to ICT, Huawei is the biggest company in the world. Next articleBrandsynario Presents ‘The CEO Stories’ With Ayesha Jalil.